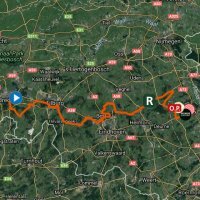 Monday, 7 August 2017 - At 169.8 kilometres, the 1st stage of the BinckBank Tour travels from Breda to Venray, which is the birthplace of Wout Poels. Before a likely bunch sprint the race concludes with two local rounds. 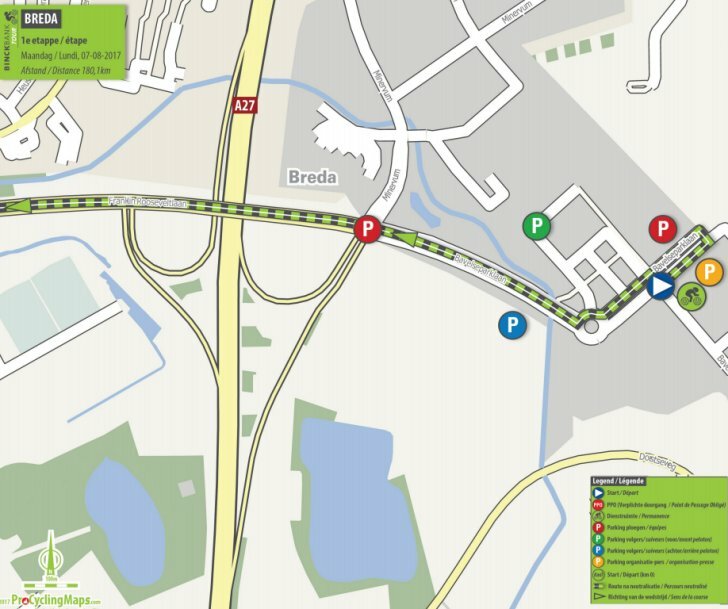 Following the start in Breda the route travels on flat roads to Tilburg and Best before the riders head for Venray. At kilometre 121.1 they hit the circuit and following the passage on the line there are two laps of 20.9 kilometres left to race. It’s been twenty years since a pro-peloton visited Venray. In 1997 Erik Zabel sprinted to victory in the Tour of the Netherlands, which was a precursor to the BinckBank Tour (which is the successor of the Eneco Tour). Departure place Breda is a familiar name. The town hosted a stage in last three editions of the Eneco Tour. In 2016, Rohan Dennis took an ITT win in Breda; in 2015, André Greipel sprinted to victory; in 2014, home-rider Tom Dumoulin won an ITT. The Golden Kilometre begins at kilometre 146.4, giving riders the opportunity take to three time bonuses of 3, 2 and 1 seconds each within 1 kilometre. The first three riders on the line win 10, 6 and 4 seconds. Read also: results/race report 1st stage 2017 BinckBank Tour.